Ah this sounds like such a good idea. Can never beat a good soup! This looks great and you’re right about the short ingredient list. Thanks for sharing this with us! This looks so yummy! I add spinach to just about everything, so I can’t wait to try this recipe out. It’s a great ingredient isn’t it! This sounds great! Pinned it for a post-Whole30 dish … bring on the feta! I love spinach soup. I used to make it for my kids and they would call it ‘compost soup’ but they loved it all the same and sucked down bowl after bowl of it. Such a description can be a bit off putting to guests who ask the kids ‘what is for dinner?’…. Haha I love it! Compost soup! Spinach and nutmeg are just a combi made in foodie heaven. Try slow cooking the onions for an hour covered then layer spinach over without stirring them in. The rich caramelization of the onion will make it even more sublime. 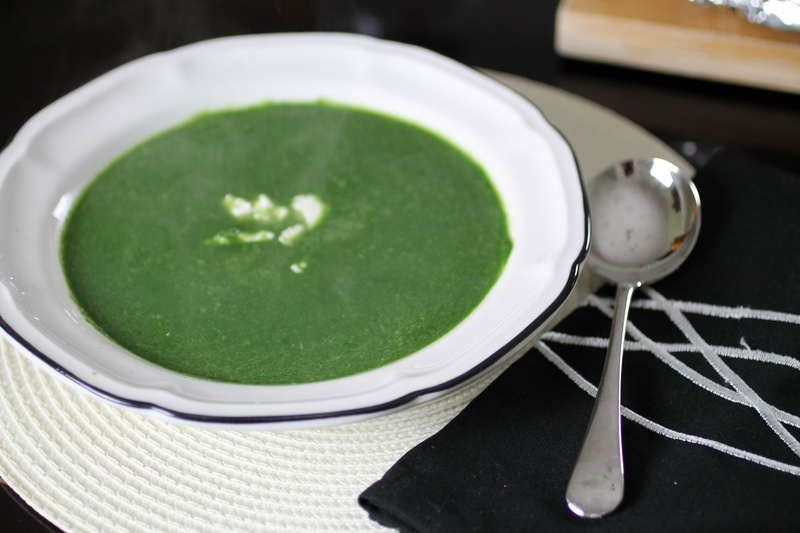 Fantastic Spinach Nutmeg soup. Healthy Healthy Healthy!!! Candidate for the Detox Recipe Book! Harriet, please let me know if I could have permission to add this recipe in my Detox the Self book I’m doing. Crediting your fantastic self of course and sharing the link to you site. Enjoy the day! Hi Debbie, of course you can – I’d be delighted to be included. Thanks! 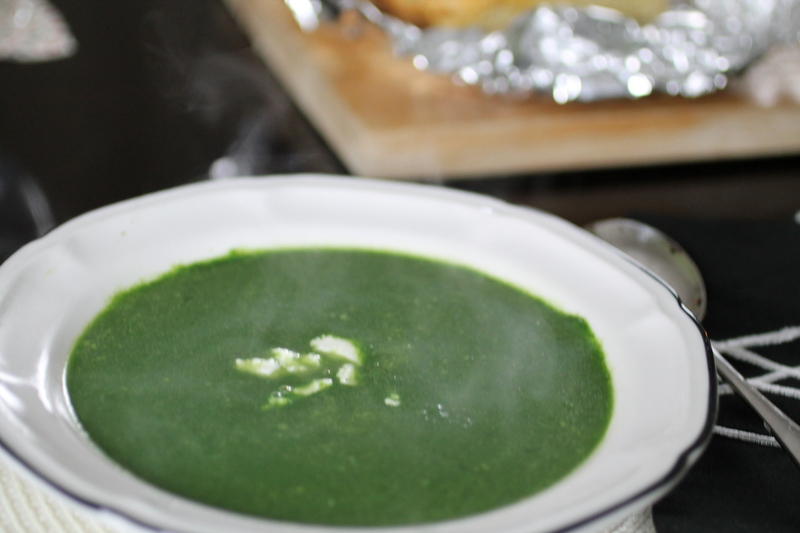 Perfect soup weather today — would love to know if you used fresh or frozen spinach? Is frozen ok or should it be fresh? Ooh yes I love that dish!